Startups are big business in Arkansas these days, especially those of the tech-based variety, and the kids are starting to notice. While Arkansas is just beginning to emerge onto the national tech-based startup radar, the state is helping blaze a trail in one aspect of the startup scene: student entrepreneurship. Over the past year, several resources and outlets devoted specifically to youth entrepreneurship have successfully launched in Arkansas, and recent momentum suggests youth entrepreneurship will get even bigger. Noble Impact, a Little Rock nonprofit working in partnership with the Clinton School of Public Service, recently hosted the country’s first-ever Startup Weekend devoted to high school students. Held at the Clinton School in April, the conference attracted more than 80 students in grades 9-12 from across the state. Students brainstormed ideas, formed teams and pitched their new ventures before a panel of national judges. Winning ideas included a program to help high school students who fall behind in their school work, portable storage lockers for large outdoor events, and a nail polish pen that delivers both polish and remover. In addition to the Startup Weekend, Noble Impact’s youth entrepreneurship curriculum aims to introduce students to “the intersection of public service and entrepreneurship.” The curriculum has been adopted by the public charter eStem High School in downtown Little Rock. A version of the program was even introduced to eStem third graders over two weeks this spring. Noble Impact’s Institute program was its first initiative, launched in the summer of 2013. Then, it introduced 32 central Arkansas students to public service-influenced entrepreneurship. This summer, it moved to Fort Smith and welcomed 47 area students to the Noble curriculum. Sydney Brazil, a rising junior at eStem, is a Noble student who hatched the idea for a gourmet donut “holery” with her mom in the car on the way to school. She nurtured her idea through her Noble class, and The Hole Thing now operates out of the kitchen at Little Rock downtown restaurant Copper Grill. Its gourmet holes—such as birthday cake and lemon poppy seed—can be found on the dessert menu there. Plus, Sydney caters, plans to bring her treats to the Farmer’s Market at the River Market, and is negotiating a deal with Little Rock’s Loblolly Creamery. More programs are being introduced around the state, too. The Fayetteville Chamber of Commerce has hosted an entrepreneur boot camp for high school students for the past three summers. Participants are taught startup basics with a focus on tech-based entrepreneurship. Teams are formed and students develop a business model that they pitch to a panel of judges that includes local entrepreneurs. The winning team receives cash to help start their business venture. 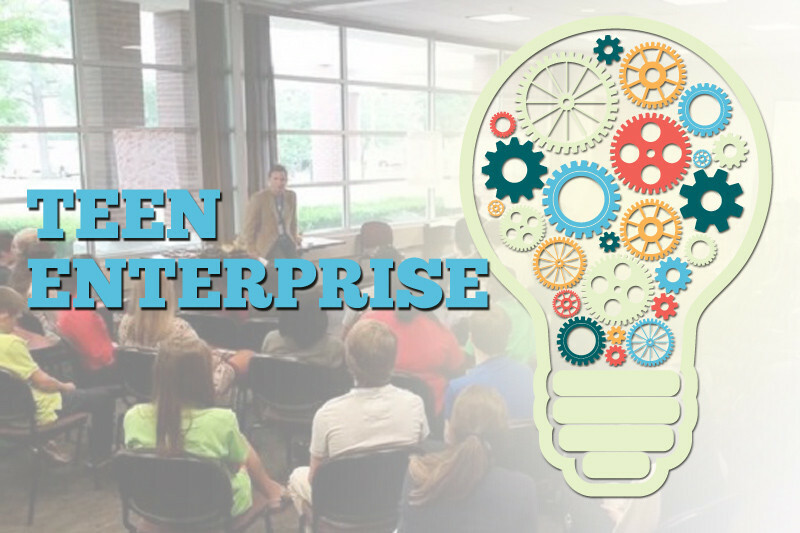 The Youth Entrepreneur Showcase (YES) from the Arkansas Economic Acceleration Foundation has been around for several years, and gains traction each year. What started as a business-plan competition for students in grades 5-8 has expanded (YES 2.0) to grades 9-12. Plus, the Donald W. Reynolds Governor’s Cup from AEAF recognizes the top collegiate business plans in the state. Noble Impact co-founder Chad Williamson knows firsthand that students can identify issues and find solutions. He led a contingent of Noble students from eStem to last year’s Startup Weekend Northwest Arkansas. Competing against college students and seasoned adult entrepreneurs, the Noble students won the award for best teamwork. Student Josh Moody of Overwatch took that nudge and ran with it. A recent graduate from Little Rock’s Catholic High, Josh is delaying his entry into college to focus on running Overwatch, the startup built around the combat gaming app he created. While conducting many of his senior-year classes remotely, Josh teamed with software developers Joe Saumweber and Michael Paladino of Bentonville’s RevUnit to launch Overwatch at the prestigious 2013 ARK Challenge accelerator in Fayetteville. Josh led Overwatch to a win that included a funding round of $150,000. Two brand-new programs in central Arkansas provide even more business opportunities for local youth. The Arkansas Venture Center, launched this spring, facilitates “grassroots growth of entrepreneurial activity” in greater Little Rock, and that includes resources for student entrepreneurs. AVC holds young CEO panel discussions and plans to partner with the nonprofit Sparkible to offer entrepreneurship education sessions for high-school students. The Arkansas Regional Innovation Hub opened the Argenta Innovation Center this summer, and includes a maker space for students to tinker; an after-school, entrepreneurial arts component; and in partnership with EAST Initiative, the STEAM Room—a classroom/lab devoted to science, technology, math and the arts. The idea is to provide local students with the resources—3-D animation and CAD design, for example—that could help entice them to stay in Arkansas and launch their startup ventures and careers at home.